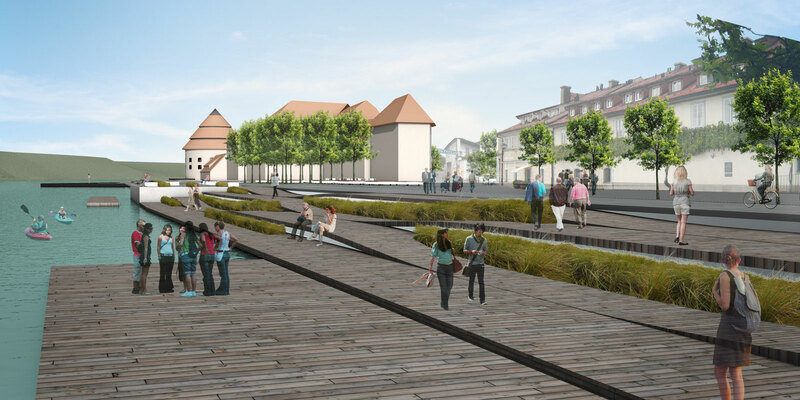 This riverfront redevelopment project provides a range of possibilities and aims to improve urban life and spatial appropriation. There are no grand gestures; areas remain open, often surprising, and spatially generous. 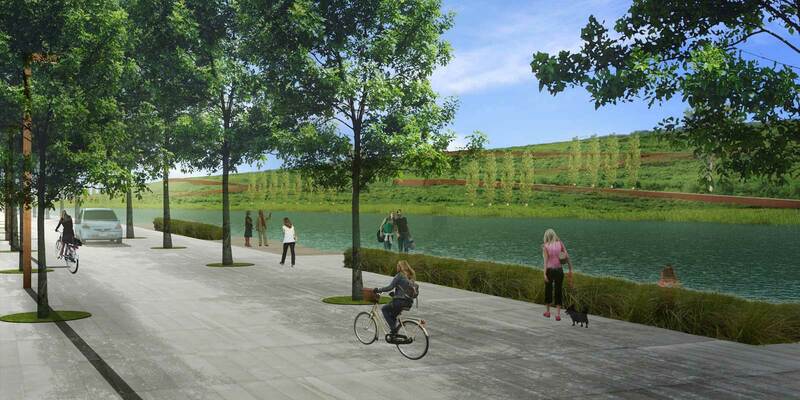 The project invites residents to take a walk with children along the river, go fishing, stop under the trees of Lent Square, watch a show at night with the water tower forming the backdrop to the stage, walk under the tall trees on the right bank while looking at the city lights. Take the ferry under the main bridge, relax on one of the wooden decks and enjoy the spectacle of the river. The design was developed within the existing context and does not seek to make unnecessary alterations. 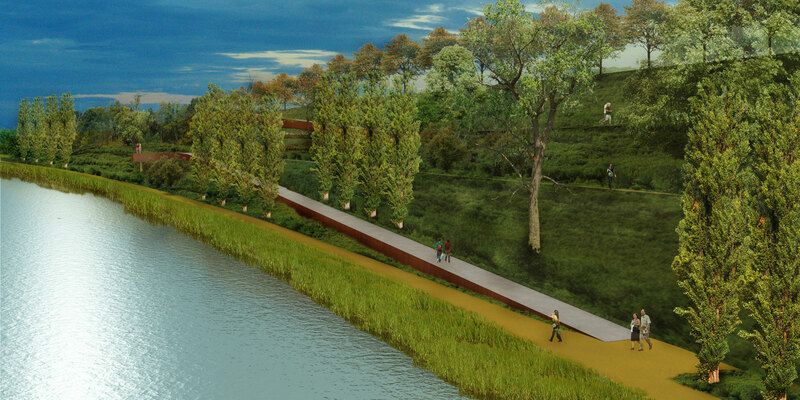 For example, the project could be integrated without extensive modifications to the topography. 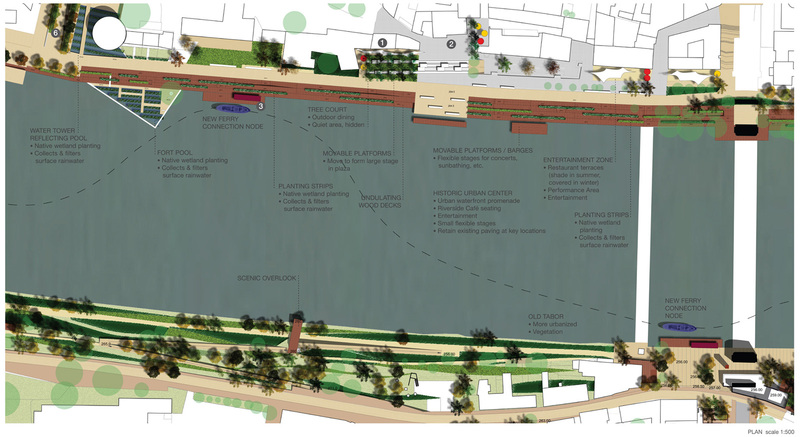 One of the key goals is to make the site legible and thus permit multiple appropriations of the proffered spaces. 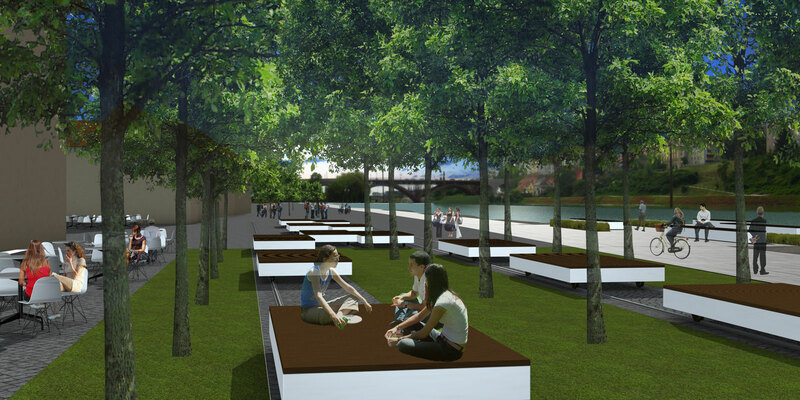 Long, wide walkways function as a continuation of the city, leading to the adjacent, accessible river banks, always vibrant, with people enjoying the spaces. Simplicity of materials: the palette consists of the existing granite paving, new, low-maintenance pavements of stone or concrete (dependent on economic considerations) and wood (ideally from a local source). 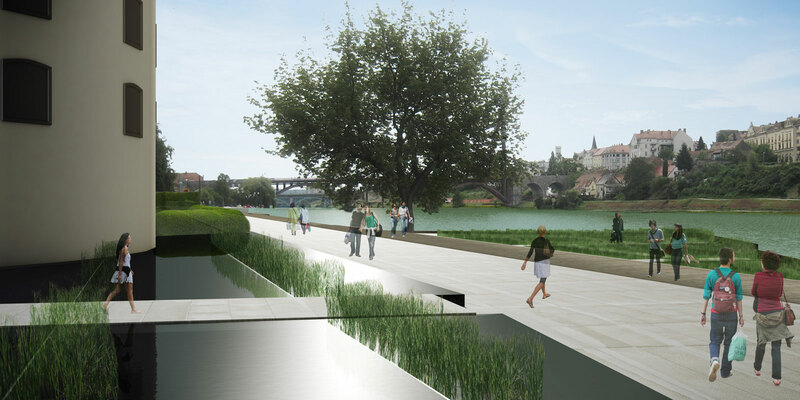 Simplicity of the topography: the planned spaces have a global nature, being topographically continuous, with the exception of the East garden in Svetozarevska Street. All of the spaces have been designed so as to make them accessible to people with disabilities. 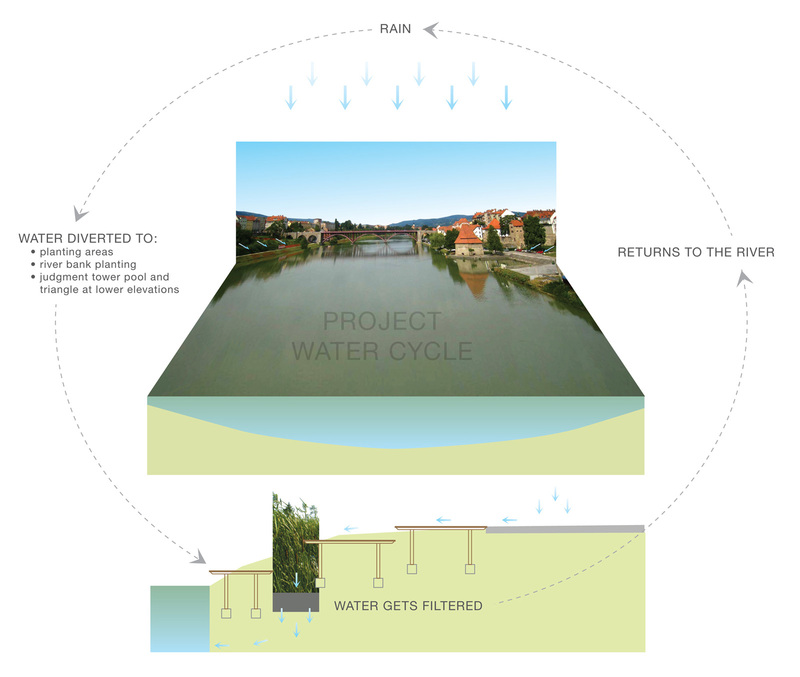 The project includes a simple pluvial water filtration system, in the form of the planted areas, all of which have been designed to allow for effective and economic purification. The Judgment tower pool is connected to the triangular pool of the ancient fort, which is an ornamental receptacle for storm events. About us: estudioOCA is an international studio founded by Ignacio Ortinez and Bryan Cantwell in 2007, formed from its origin to focus on urbanism and landscape issues on a global scale. The studio’s primary offices are located in San Francisco and Barcelona. 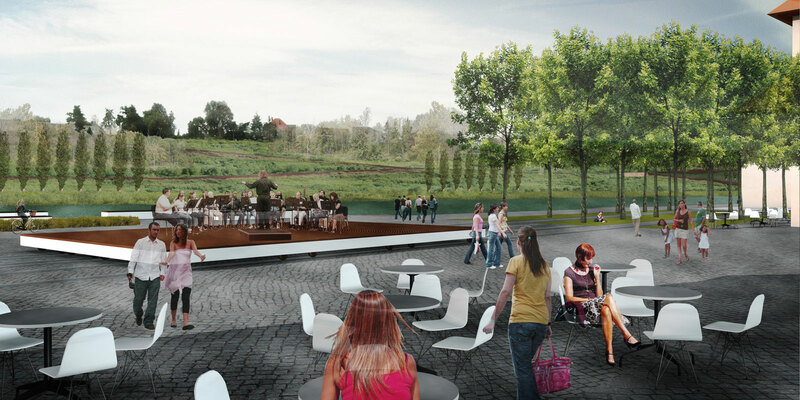 The studio provides a conceptual rethinking of the public domain, revealing new opportunities for cities and open space.